When looking for ways to increasing your marketing footprint you want to find ways to get your name and your message in front of people who need what you are providing and are willing to pay for it. Leveraging your LinkedIn network to get some no cost marketing can bring huge rewards: sales, clients, leads, referrals, exposure, market testing, and more. And the best part is… the price is right… FREE. There are many ways to do this and some if not all of them will work for your business and require little more than some planning and a little time. Make It Pretty – There is a standard look to your and every other LinkedIn page. We like that and don’t want it to start looking like MySpace. But you can make a business profile stand out visually by using the Professional Portfolio feature. This allows you to add photos, screenshots, infographics, videos, articles with images and even SlideShare presentations. Present a clean, concise, and typo-free profile that demonstrates your business’ professionalism and expertise. Relationship Building Sounds Better Than Networking – Try to dedicate some time, even 15 minutes twice a week (put it on your calendar right now!) will make an impact, making real connections that develop beneficial relationships. Talk with like-minded individuals, find a mentor AND be a mentor, join groups of interest to business and join discussions, and connect with old friends and coworkers. Engage others by sharing content and posing a question. It’s a great way to get the conversation started online and in person. The larger your network, the more people seeing your message and engaging with your brand. You’re The Expert – Your attractive profile hooks them but your consistent useful and engaging content you share once or twice a week as an expert in your field makes you an Influencer. The more people see you as an influencer, the more your connections will not only be receptive of your message but actually seek out you, your business and your content. This is how you convert LinkedIn relationships into client relationships and referrals. Do Your Homework – Who are you most valuable connections? These are the ones who are active in discussions, who comment on your content and are active in your network and in your field. Briefly study their profiles and updates and you will discover what they are about and how you can add value to them. Use your @mentions, direct messaging and introduction features to promote your most valuable connections to your network. These people will be singing your praises to every one you know and when an opportunity comes where they can refer business… they will. Let’s Talk About It – There is a purpose for your business – something you provide the world has deemed valuable enough to pay for. With millions of members worldwide there are probably several discussions and groups dedicated to what you do but you also want to find are discussions and groups that have problems your products or service can solve. Do you sell the best dog toys on the planet? Then there are dog trainer groups who could use your expertise. Are you an accountant specializing in small business tax preparation? Then there are hundreds of small business discussions and groups who have questions you can answer. And that is all you do… add value. You DON’T sell and you DON’T throw in ads. Add value and they will come find you. Sometimes It IS You – Your business profile is going to be doing a lot of work on its own. And when people really start to get engaged they are going to want to see the face behind that logo. Make sure that your personal profile is professional, keyword optimized, and singing the praises of your great company without seeming like a sales page. Your personal page is going to have its own separate – as well as a lot of the same – connections but there are going to be people who end up on your personal page through search, introduction or suggestion and they will see this business you own (or work for) and take a look at the business profile. Plus there are groups that are more receptive to a person’s face than a company logo when having discussion and you might be more effective with a personal profile than a business profile. BONUS – Think Globally Locally – So there are 132,467 people on LinkedIn who do the exact same thing you do or sell the same thing you sell and if 1% of them posted a link to THAT ONE story about the newest innovation in your field then you aren’t really wowing anybody when you do what thousands of people did today by pushing the same story. This is where a small group mentality can benefit you. A focus on smaller or more local groups make you the big fish in a small pond of people looking for what you can offer on this story. Additionally, there is something about knowing someone ISN’T on the other side of the country (or the world) that just makes you want to trust them more. Why are you on LinkedIn? If it is to build your business, then it is past time to start working on your business profile so your business profile can get to work for you. 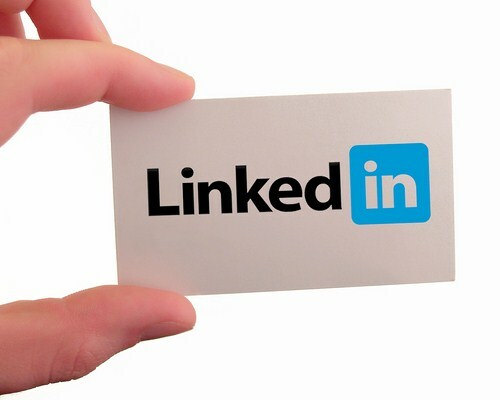 Do you have more LinkedIn Marketing tips? We’d love to hear from you and your thoughts to the discussion!